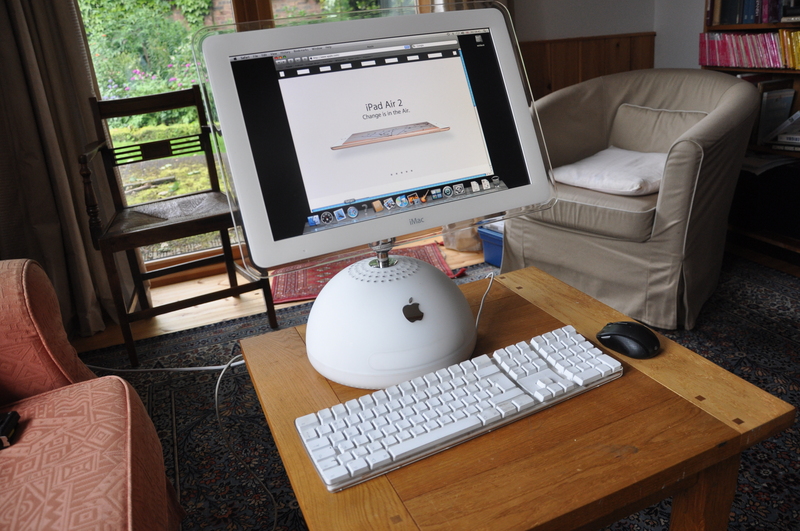 The Apple iMac G4 was a hemispherical base unit and LCD screen with a USB connected keyboard. In this setup it uses a Bluetooth connected mouse. The original would have used a USB mouse. It is heavy at 11Kg, but that is necessary because the LCD display could be positioned at a number of heights and angles. All the electronics are in the hemispherical base unit. I have not undone it to look inside because you can do a "ripdown apple iMac G4" in a web browser and get a far better view inside the G4 than I can give here. This is the rear view. The LCD display is on an arm that can be rotated 90° to the right or left. The arm can be rotated from the vertical to the horizontal and the screen can be rotated 30° on the end of the arm. 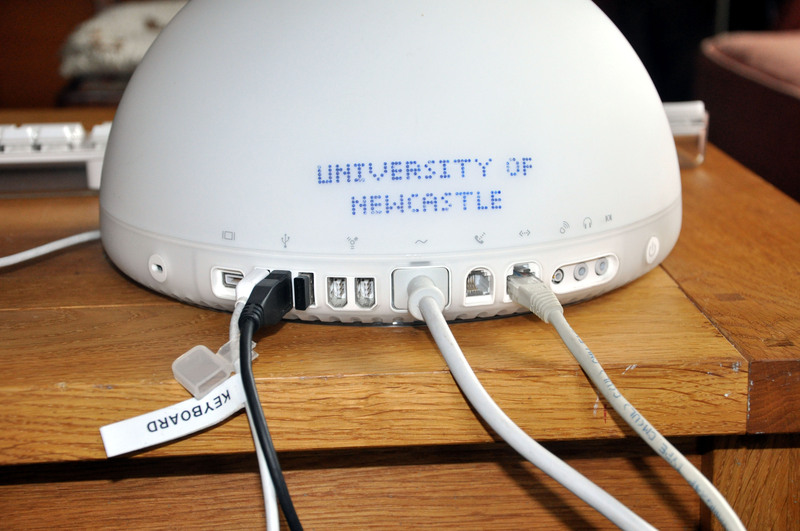 On the back are sockets for external connections.